Is it time to trade in that old travel trailer or fifth wheel and take home a newer model with all the latest features? Then look no further! At Parris RV, we make your RV trade-in easy, so that you can spend less time worrying about the old and more time enjoying the new. Follow these simple steps below and get on your way to driving home your dream RV. The first step to getting your RV sold is taking our questionnaire! This simple, easy-to-use survey will allow our experts determine the value of your trade-in and help you to get the most credit towards a new RV. All you’ll need in the basic information about your RV and you’ll be on your way to driving home that Crossroads Cruiser fifth wheel for sale at Parris RV that you’ve been eyeing for weeks. Take a deeper look into this 2019 Crossroads Cruiser fifth wheel available right now! After you’ve filled out our questionnaire, it’s time to start looking for your family’s upgrade! 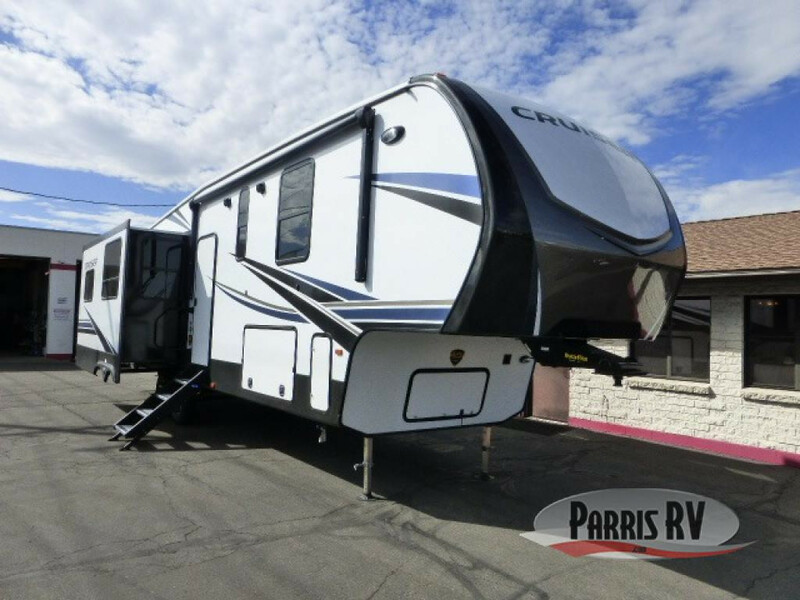 At Parris RV we have two locations and a wide selection of fifth wheels, travel trailers, and motorhomes for sale. You can browse brand new 2019 RVs or explore our collection of available used RVs. Once you’ve found the perfect travel trailer, fifth wheel, or motorhome for your family’s new RV, just contact us! Our experts will work with your to ensure you get the most out of your trade-in. You can even apply for financing to help make your new purchase easy! Let us help you get out on the road and on your way to your next adventure in a brand new motorhome, pop-up camper, fifth wheel, or travel trailer that’s perfect for your family! You could save huge on your next RV just by taking our simple questionnaire and trading in that old RV. Contact us today!